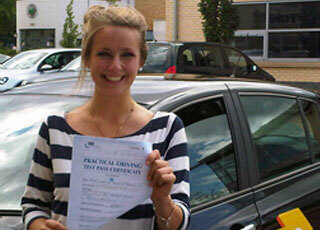 Go 2 Pass Driving School – Driving lessons in Manchester and Surrounding Areas. 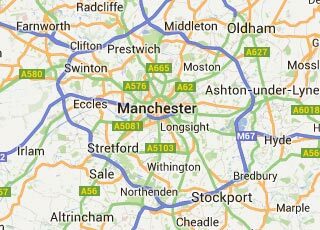 Looking to start driving lessons in Manchester? Learn to drive with Go 2 Pass driving school and you will get hands on experience alongside practical advice. Our qualified male and female driving instructors in the Manchester area will make learning to drive as easy as possible without sacrificing on quality. How are we different from other Manchester driving schools? Go 2 Pass driving school is committed to a consistently high standard of teaching and with around 80% first time pass rate we think our results speak for themselves as we simply are the perfect choice for your driving lessons in Manchester. We have enjoyed a long and prosperous history of guiding learner drivers from many walks of life on their path to becoming competent and independent responsible drivers and recognise that you’ll want a driving school in Manchester that can offer patient driving instructors who will support you every step of the way so that you pass your practical as soon as possible and on the first time like many others have. our driving instructors strive to achieve this with each and everyone of our students – just one of the reasons we’re sure you’ll want driving lessons with us: our instructors are relentlessly driven towards your success! Why Choose Our Manchester Driving School? Manchester is a great place to learn to drive given its varied roads within which to practice. Our driving instructors in Manchester are local which means they know a vast range of routes and locations which will ensure your driving lessons in Manchester take place in ideal environments in order to best facilitate your learning. This means your time is being used to maximum impact which will make sure you get the best value for money and are challenged at the level which suitably matches your experience whether you’re a complete beginner driver or seasoned learner. From clutch control, steering and gear changing our driving instructors Manchester take you through each of them step-by-step until you’re entirely familiar with the inside of the car so that manoeuvres like moving off, the three-point-turn and parallel parking will be second nature by the time it comes to the practical driving test so it will feel like just another driving lessons Manchester. Finding the time and money for your driving tuition in Manchester can be a big commitment, so when you do come to choose driving schools in Manchester you’ll want to know you’ve found the best on offer. With us you’ll find your money well spent, as every driving lesson is well above the national standard of driving tuition quality. Our team of brilliant male and female driving instructors in Manchester have many years of experience driving and teaching and are ready to impart this expert knowledge with you. You don’t have to worry about not getting along with them, as all of our driving instructors make pleasant company and are ultimately geared towards the same goal: that when it comes to your driving test, you pass first time! We want you to feel comfortable and at ease when you learn to drive with us, so if you would prefer a male or female driving instructor in Manchester let us know your preference and we can cater to your needs. If you want to book driving lessons Manchester, or aren’t quite ready to begin just yet; either way, just give us a call for an informal chat. Our driving lessons Manchester don’t put you under pressure to pass – though we want you to progress quickly we will only advise you to book a practical driving test once you’re absolutely ready. If there is a special requirement for you to pass before a particular date then we also run intensive driving courses Manchester option. Each intensive driving lessons Manchester is packed with practical direction, so it won’t be long before you’ll leave our driving schools in Manchester with the ability to drive safely and confidently around the Manchester area and further afield. For driving lessons Manchester give our team a call so we can secure a slot for you to begin as soon as possible. If you have any further queries, we are only too happy to help, and no doubt you’ll be waving goodbye to driving lessons in no time!